Blue Apron delivers all the freshest meats, fish, fruits, and veggies direct to your door in an insulated box. In 2012, Blue Apron was the first company to start operating in the USA as a meal kit delivery service. Its emergence was to herald a fast-growing trend in the USA. Blue Apron has certainly withstood the test of time and remains to this day, one of the biggest meal kit delivery services in the country. Blue Apron offers the delivery of professionally designed dinners with pre-portioned ingredients to your home. With Blue Apron you can enjoy cooking restaurant quality meals in your own kitchen. Blue Apron meal kits are not only designed to improve your evening cooking experience but they are also meant to make life easier. Basically, they save you much needed time by eradicating the need for meal planning and grocery shopping all in one great service. This service is also surprisingly affordable, not costing any more than standard meal preparations. 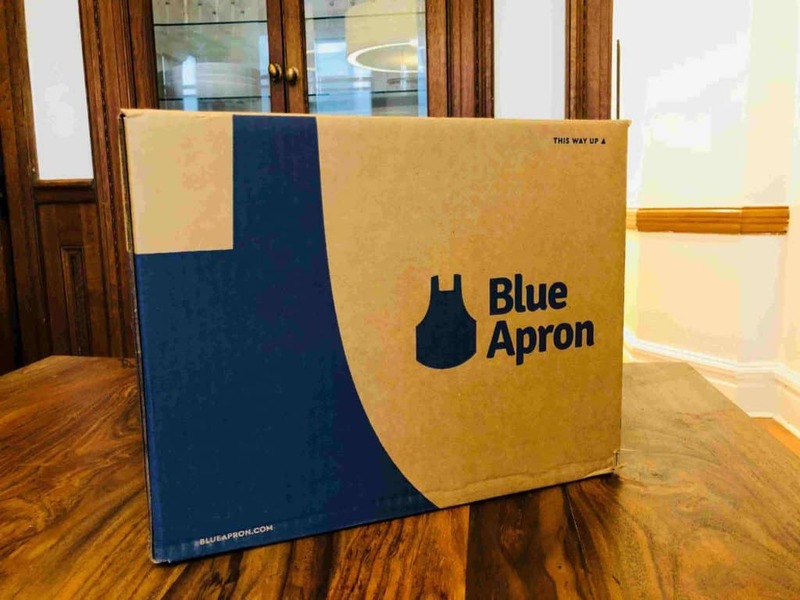 In our Blue Apron review, we would say that the Blue Apron service is most appealing to people who enjoy cooking and eating tempting indulgent dinners at home. Their recipes are usually very interesting and come with a twist. With Blue Apron you get a lot of variety in that some of the dishes might take some time to cook, while others are very quick and easy. The cooking time of each dish can vary from 20 minutes up to an hour. The Classic Plan for two people provides either two or three dishes per week. There are some vegetarian options available within this plan. The Family Plan for four people provides two-four dishes per week. Getting started with Blue Apron is a breeze! All you need to do is sign up to the Blue Apron service via their website or app. For newbies to this service, we have some great coupons for beginners here. After you have signed up, you simply need to choose your plan and then select your meals from their weekly menu. Some of these meals can include meals that are child-friendly, vegetarian, ‘quick & easy’ and more. Once you have chosen your desired meals, it is merely a matter of waiting for the delivery! A few days later, you will receive a labeled box that contains all the ingredients for your meals and very detailed step-by-step recipes pages. The final thing to do is to follow the recipes and then eat a perfect dinner! Bon-Appetit! It is important to note that with Blue Apron you have full flexibility to skip weeks whenever it is needed. You can choose and swap recipes, which is very handy when planning a few weeks ahead. You can also cancel your subscription at any time. Which means that you only order what you want and when you want it, with no huge commitment involved. Blue Apron offers eight weekly changing meals as part of their two-person plan and four-person plan with four meals. The meals offered by Blue Apron have been chef designed and are home-cooked dishes with restaurant quality results. 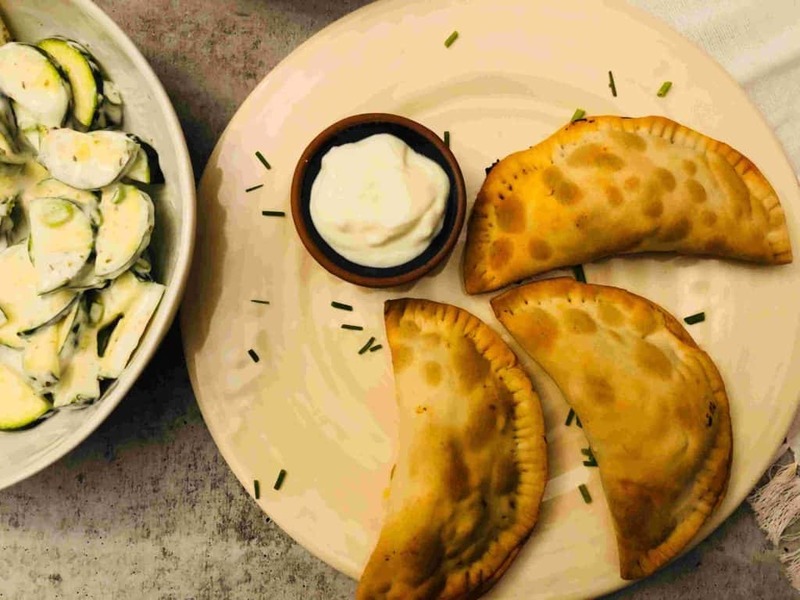 The Blue Apron menu is about enhancing your dining life at home, and it can really spice things up in the kitchen, allowing you to explore great new flavors on a regular basis. The immense variety of the Blue Apron dishes ranges from favorites such as Tacos and burgers to Asian style dishes like noodles and stir-fries and European classics that can include flatbread, pasta and quiches. Blue Apron is very innovative with their menu, offering some interesting collaborations with well-known chefs and food gurus. They also occasionally offer dishes to cater for different popular diets, like Whole 30 or the Mediterranean diet, just to name a couple. Among their weekly menu, you will also be able to find vegetarian, child-friendly and ‘quick & easy’ dishes. I am a big fan of the ‘quick & easy’ dishes and I highly recommend including at least one of those in your delivery since it is so lovely to have a delicious but fast option available when you simply run out of time. What must be included in our Blue Apron review, is the style of the dishes is usually somewhat sophisticated and can involve slightly more advanced cooking techniques and include interesting seasoning and flavors to experience. It is therefore most suitable in our view for people who have already some experience in the kitchen, and that would like to experiment with new cooking and dining experiences. With Blue Apron, all the ingredients are delivered in a labeled box, with the refrigerated proteins packed at the bottom with ample ice. Some sorting does needs to be done with Blue Apron deliveries, since the ingredients have not already been sorted and packed for meal. But this only takes a few minutes to do. A great feature of the Blue Apron delivery is that they do wrap all the smaller ingredients for each dish into individual bags. 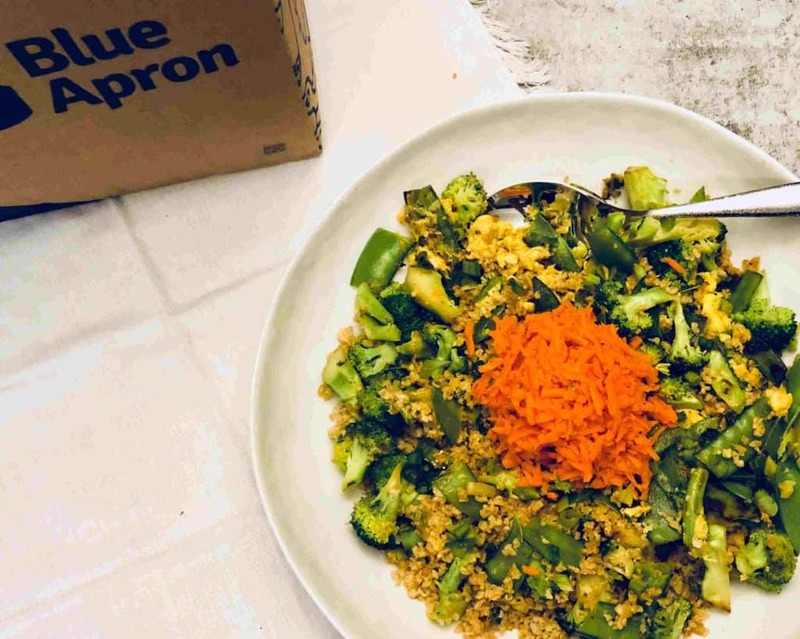 Our team of meal kit experts have experienced Blue Apron meal kits on multiple occasions and are happy to confirm a wonderful consistency in terms of the quality of ingredients that are used. From our experience, all ingredients inside a Blue Apron delivery box are super fresh and of a very high quality. This includes the meats that have no added hormones, sustainably sourced seafood, farm-fresh local fruits and vegetables and the artisan sauces and spices. Blue Apron offers both well-organized and easy to use website and apps. You can register, specify eating preferences, select and change your weekly dishes up to four weeks in advance and change your payment method etc. All of this can be completed online in an easy and practical way. You can also see past recipes and future menus, including the recipe itself, ingredients list and additional nutritional information for each dish. We hope you liked our Blue Apron review. If you love to cook but are somewhat bored with your regular mundane recipes, or if you want to save money and spend less time grocery shopping, Blue Apron is a great choice! Blue Apron delivers incredible meal kits that contain the freshest meats, fish, and vegetables straight to your door in an insulated box. 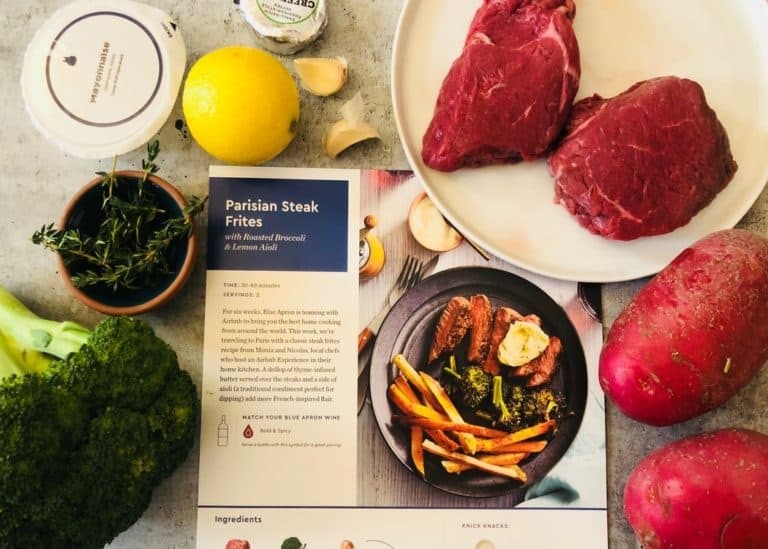 Blue Apron supports sustainable farming practices and works with trusted producers to bring you tasty ingredients and premium-grade meals, with a restaurant quality finish. The Blue Apron service is like fine dining at home.